Ingham Airfield was a square grass-surfaced site, located just north of RAF Scampton, bordered by the A15 and B1398. It may well have been the only airfield to have a house between the grass runways (Cliff House); built prior to the construction of Ingham, the house was used as the officers’ mess during the life of the airfield. The technical buildings were grouped around the south-west corner, which also contained one of the three hangars, a B1. The two T2 hangars were located off the northern and eastern perimeter tracks. Communal and living accommodation was provided in dispersed areas around Ingham village and also to the north of the airfield. The bomb stores were located across a minor road to the south and were linked to the south-eastern perimeter track. Ingham received its first operational unit on 18 May 1942 when Polish 300 (Mazowiecki) Squadron arrived from Hemswell, Ingham being the satellite station for that airfield. The squadron remained at Ingham until January 1943 when it moved back to Hemswell, returning on 22 June before leaving for Faldingworth in March 1944. Durimg 300 Squadron’s absence, 199 Squadron were based at Ingham from 3rd February to 21st June 1943. On 22 June 1942, 305 (Weilkopolski) Squadron moved to Ingham with its Wellington bombers from RAF Hemswell, remaining until 5 September when they moved to Swanton-Morley, Norfolk. The airfield saw no further front-line squadrons as training came to the fore. In February 1944, 1687 Bomber (Defence) Training Flight formed with Spitfires. In March, 1482 (Bombing) Gunnery Flight arrived with Martinetes and both flights were moved to Scampton in September and December of that year. The site was renamed RAF Cammeringham on 24 November 1944 and was eventually relinquished by the RAF in December 1946. Today some of the technical buildings survive and are used for light industry and farming. The control tower has been refurbished and the northern hangar is used by a haulage company. 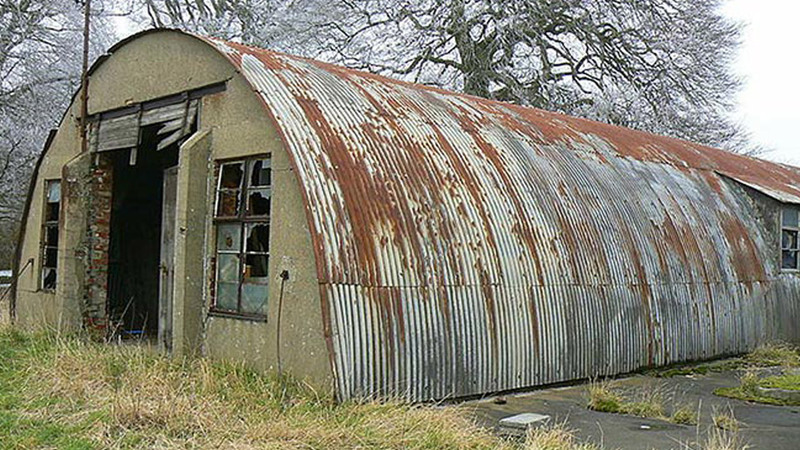 Remnants of the dispersed accommodation can still be seen; one surviving building just north of the airfield has been acquired by a group of enthusiasts, who plan to turn it into a heritage centre dedicated to the Polish Squadrons. Please note; the old airfield and outlying sites are on private land; following numerous intrusions, the landowners will not take kindly to individuals roaming across their land. Please respect their privacy.